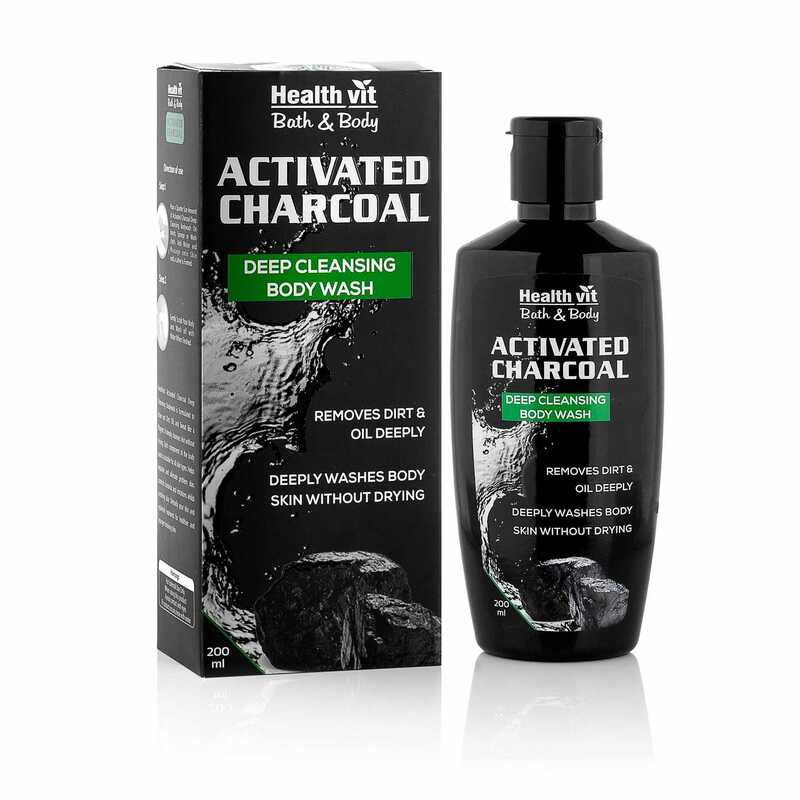 I was really excited to try Health vit ACTIVATED CHARCOAL PRODUCTS because they were all over the internet! Especially with the charcoal storm and everybody adorning black face masks like make up, i wanted to try it even more. So I ordered the shampoo, face wash, body wash and the face mask from Nykaa and waited for the products to arrive and write this review. 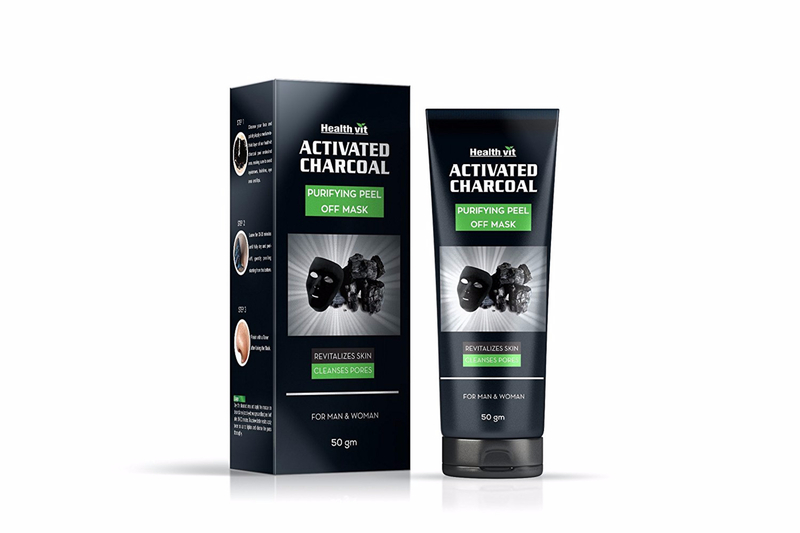 ACTIVATED CHARCOAL FACE MASK - Activated Charcoal is well known for drawing out all of the dirt from the face but does this activated charcoal peel off mask does what it claims? It comes in a tube and easy to apply texture. I applied it on a clean and dry face and waited for it to dry. After 15-20 minutes, i tried to peel it off, my face did feel a pinch of pain. If you want to have a painless and smooth experience, try using more amount of it so that it forms a thicker layer on the face which is easy to remove. 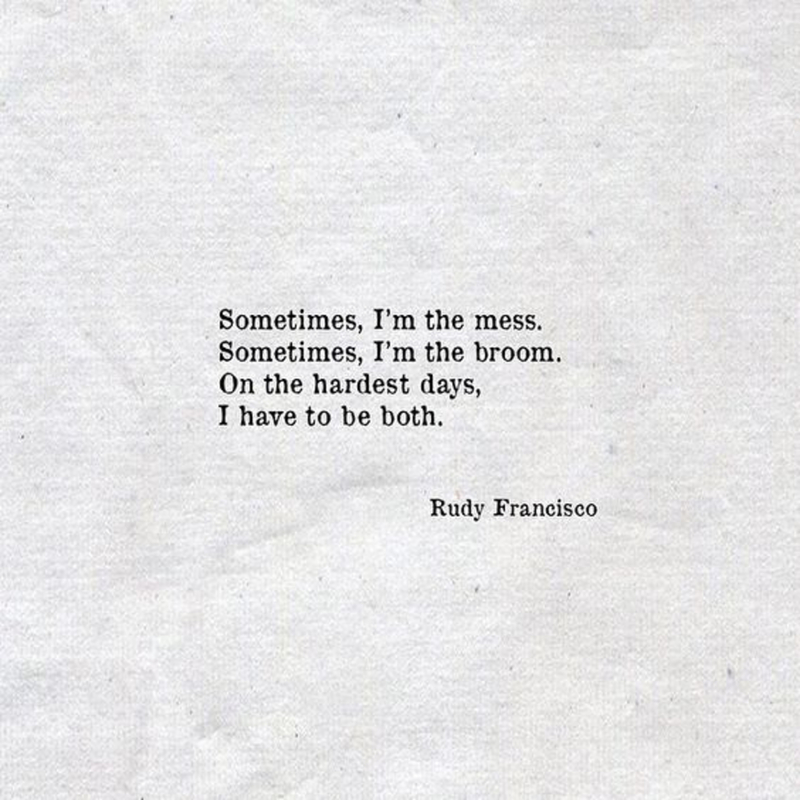 The first time it took me a lot of effort to remove this mask off my face. I could not see great results. However, the second time, it was more effective and easier to peel off because I had learnt how to apply it. It leaves your skin refreshed and smooth, with smaller pores and a clean texture. 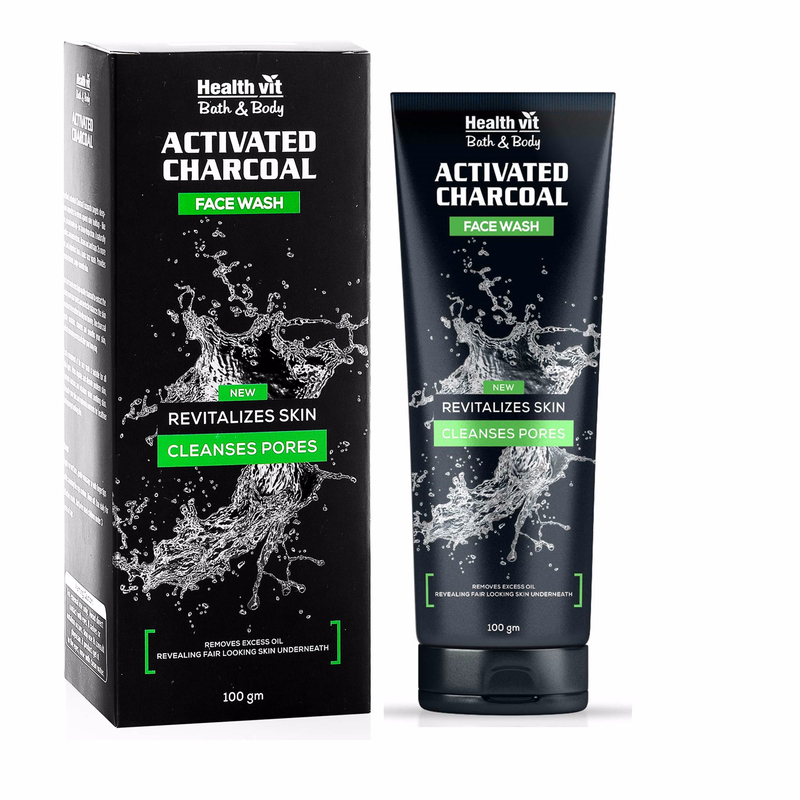 ACTIVATED CHARCOAL CLEANSING SHAMPOO - I don't think I have used a better shampoo for cleansing. 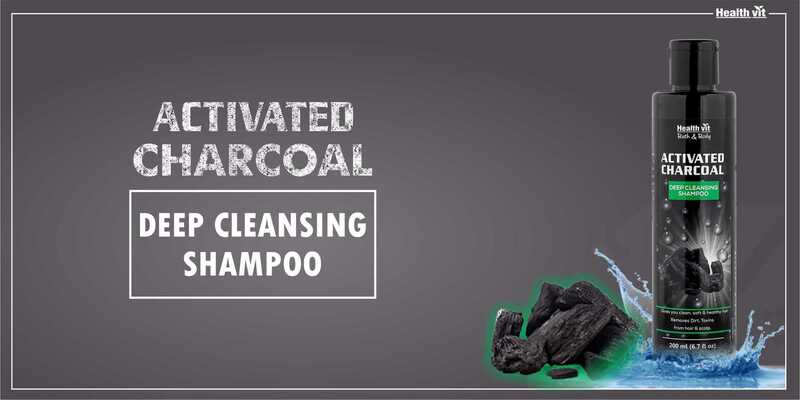 Before using Health vit activated charcoal shampoo, I used to be a regular hair washer. After I started using this shampoo, i realized, my hair did not require a regular wash and it can go for days without a wash because this shampoo removes dirt from the very roots. ACTIVATED CHARCOAL BODY WASH AND FACE WASH - These two products more or less have the same effect on the skin. The body wash is perfect for cleaning off the dirt because it is a bit harsh in texture. However, if you have sensitive skin, try not using the face wash, as it can make your skin dry and rough. I would suggest using the face wash, only when deep cleansing is needed and not otherwise. Use a face wash that is not harsh on your skin for everyday use. With the body wash, i did not face considerable problems. All was well and good. Overall, I am happy I tried their products and would give this series of beauty products a definite thumbs up.